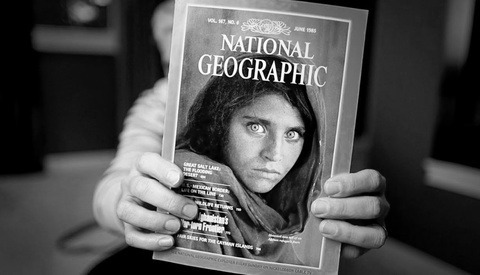 McCurry’s “Afghan Girl” is perhaps one of National Geographic’s most iconic magazine covers but, as Northrup reveals, it is not without controversy. The fear that is said to be seen in the model’s eyes is not fear of war but of something else, and this slight twisting of the truth makes for a more compelling story when it comes to depicting the hardships faced by refugees and the consequences of a war on the other side of the world. Last month I wrote a long piece about photography’s capacity to tell truth through fiction, and McCurry’s work is another example of how what is in front of the lens can be used to convey a different message. Questions are then raised: is McCurry's work nothing more than the fetishization of suffering in order to sell magazines? Is the subtle mistruth justified given the attention that it brought to the plight of refugees from Afghanistan and more broadly around the world? Personally, I believe that there is a means of conveying both stories without one necessarily compromising the other. Either way, it's healthy for the community that those held with such high esteem are examined more deeply, such as the problems now being explored in the work of Robert Capa. Northrup bravely explores some important issues in this video. Be sure to leave your comments below. Afghan Girl is one of my favorite portraits. It is a great photo and it is very haunting regardless of the circumstances. It is an image with impact. However I agree with you that these new details mean it was not photojournalism as it was presented and that both McCurry and Nat Geographic deliberately fabricated her story which is horribly unethical. Gallery prints have been sold at high prices by McCurry and National Geographic has sold signed and unsigned poster prints of the image.It has been one of the most profitable images the magazine has ever published. Regarding US law it would be illegal to publish the image without a release under the circumstances Tony describes. In order for it to be photojournalism or even protected street photography the image must not in anyway be described or presented in any context other than what is factually true. For example if they simply said “ Afghan Girl in refugee camp,” no other context or meaning is being associated with her likeness other than what can proven to be factually true. However if anything is added such as “eyes haunted by war” or any characterizations made about the subject including state of mind, political or product endorsements or facts or a story unrelated to the actual thing being photographed, the model’s “right to likeness” is being violated and they can sue for defamation and damages. With non photojournalists doing art street photography you have a right to shoot people in public spaces without a release but you have to be very careful not to provide anything in the context or title of the image that is not factual. What's horribly unethical is Tony Northrup's twisted defamatory fabrication of a story about Steve McCurry, where Tony paints him as a child exploiter. The photo is an honest portrait made with her and her teacher's cooperation. You can quibble with NatGeo's cover caption, but I doubt Steve wrote it, and I think it's pretty accurate anyway. Sharbat Gula is actually proud of the photo and said so in a BBC news interview.
" However I agree with you that these new details..."
They're not new details. It was a false account that is easily demonstrable. McCurry has a series of shots of the girl demonstrating as a matter of fact that Tony's account is false. "...it was not photojournalism as it was presented and that both McCurry and Nat Geographic deliberately fabricated her story which is horribly unethical." Yes, it was, and nothing in the accompanying story fabricated anything. Now you're saying things that aren't true, and apparently, couldn't be bothered with learning the facts but instead are now fabricating your own. Nat Geo didn't fabricate anything about the story. "Regarding US law it would be illegal to publish the image without a release under the circumstances Tony describes." Absolutely false, and clearly a (bad) inventional on your part. It should be obvious that statutory scope of American civil law does not apply to actions taken in another country. That was just downright dumb. "In order for it to be photojournalism or even protected street photography..."
The clause following this statement will, necessarily, be false as there's no such thing as 'protected street photography' or 'counting as photojournalism'. Stop making things up. "..the image must not in anyway be described or presented in any context other than what is factually true." False, and to be honest, dumb. I can take a picture of you in public and label it pink unicorn if I want. That's not against the law. Why would you make up such moronic claims?
" However if anything is added such as “eyes haunted by war” or any characterizations made about the subject including state of mind, political or product endorsements or facts or a story unrelated to the actual thing being photographed, the model’s “right to likeness” is being violated and they can sue for defamation and damages." False on every count. That is in no way how the legal principles involve work, obviously. There isn't even in fact a right to likeness. There's commercial control of likeness, in US civil code, which of course does not have its statutory scope expanded to other nations. "With non photojournalists doing art street photography you have a right to shoot people in public spaces without a release but you have to be very careful not to provide anything in the context or title of the image that is not factual." Again, flat wrong. There is constitutional differentiation you create re: "non photojournalists". That's wrong to the point of silliness. Nor is there any legal differentiation for "art street photography". I can photograph anyone I want in public. If I use that image for commercial purposes, they may or may not have a basis for commercial control of likeness. I can include all sorts of context, title or otherwise, some of which may or may not be factual. You don't know what you're talking about. Actual malice, intent, demostrable tort, intentional tort, these are the principles you don't seem to be aware of, but are in fact what the legal principles regarding the issue are. You just made a bunch of stuff up for some reason. Clickbait Tony took down his idiotic video. And PetaPixel apparently deleted their post about it. Yep, defamation is not pretty. "Northrup bravely explores some important issues in this video" WTF. Northrup bravely omits the bits of his "research" that don't fit his narrative you mean. If you had taken the time to go watch the actual sources he quotes , you would see that he is doing nothing but a click-bait job for XXXXXspace. I hope McCurry sues them for defamation. I was subscribed to them , but after that vid I unsubbed. Now I'm questioning Fstoppers for not even checking on these articles before just repeating them as truth. Hi Jason, thanks for your comment. I think these are valid points and, with hindsight, my text accompanying this video should have been different. Chelsea and Sony Northrup..Just looking at their faces you can tell they're Unstrusworthy Greedy youtubers. The fact the video has been taken down makes me wonder about Tony's facts. I would rather have had a real journalist take on these questions with Steve present to defend himself. Relying on the Afganistan government's reporting is not what I would ever call reliable. Did they threaten her, pay her? Why is this news now as the US is threatening to pull its troops out. I believe there is more to the story than what they are saying and for Mr. Squarespace to just believe one side is not journalism either. Pathetic, he has lost credibility with this poorly researched video and distasteful square sponsorship, I was feeling angry at the controversy around McCurry, now I feel foolish for believing this gossip rubbish. 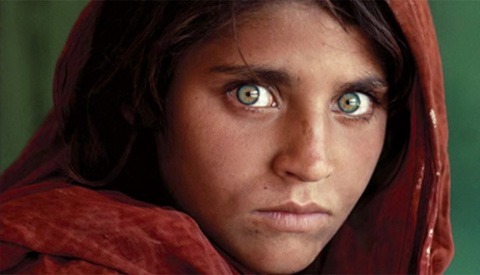 Steve McCurry’s “Afghan Girl” image is iconic-the day it was published, currently and for the future. Period. For a someone to attempt to demean this work and it’s creator for the sake of “hits and likes” is completely outrageous and disrespectful to the history of photography. Mr Northrup owes Steve McCurry and the photographic community an apology. This YouTuber is one arrogant guy who only care about himself and how to be God-like guru of photography. Its a commercial topic for him, it doesn't matter who get crushed as long as he gets the attention. He is not only in photography but he is also a scientist in psychology and he can read the history and relive it again. Yeah Tony couldnt get hold of Steve to learn the truth. So publish false rubbish stuff and now he deleted the video Just waw. Steve McCurry contacted his lawyer regarding the Tony Nothrup video. Tony Northrup has removed the video from Youtube. I am not sure if (or how) these two facts are related. The video is still on Tony Northrup's Facebook page. Northrup screwed up in attacking McCurry`s character and I see that the said Video has been deleted? Hmm, I wonder if Tony is facing legal action? A problem with this piece was how it sensationalized a supposed violation by MCCurry that doesn`t add up. 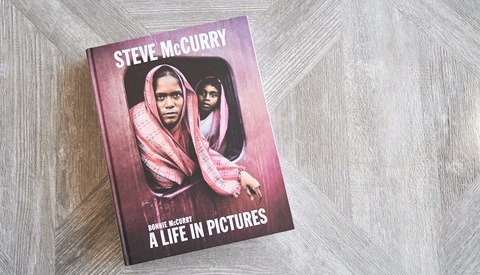 McCurry unlike Northrup is a brave Photographer who often put his own life in danger to tell a story that the World should see, and if he took any creative liberty to make this Photo appeal then he is a "Photographer"! That`s what we do to tell a great story! In this case Northrup never addressed (with any due diligence) how proud this Lady is of the Photo and how it has changed her life financially! Any Internet research would show this through BBC interviews. Northrup has become a "Shill" in recent posts who now probably needs a good lawyer! Without sources, this piece has no credibility. Who was there with Steve? Who talked to Tony? If Tony had reputable sources to back this up, who are they? Without that everything is hearsay or conjecture. Add in a couple of cultural misrepresentations and it becomes a joke. This video was taken down from Tony and Chelsey's YouTube feed. No explanation. Running scared? Can't handle the uproar? Can't answer the legitimate criticism? I quit looking at the Northrup's channel a couple of months ago when Tony did a supposed review on the Nikon Z6. I don't own the camera. I've never shot the camera, but when a reviewer has to say that it isn't as good as an AIII in this area, and not as good as a GH-5 in that area, and not as good as an X-T3 in yet a third, that's not a review. It's a hit job. Every camera can be put down that way, as nothing is the best in every aspect. That's just another example of Toni's bad attempts at journalism. Tony tweeted that he had sources for all of his claims. Now that he released his so-called sources, it's apparent that he had no sources for any of the disturbing claims. The source for those was apparently his rear end. This dude would be kicked out of journalism school. What he did to Steve McCurry is a tragedy. Wow! People are demonizing Tony WITHOUT getting to the truth, and listening only to one side. Tony WENT to BOTH sides, and provided evidence for his statements. One person demonized him for getting one element wrong, —the burqa— then stating that, because of that one element, Tony cannot be trusted! McCurry got several facts wrong, and HE WAS RIGHT THERE! She was NOT an orphan when she left Afghanistan, her parents were not killed in a bombing, she was NOT twelve, she was NOT shy. She left with her father and siblings after her mother died of appendicitis, arriving at eight years old, she was ten, she was afraid. From where does all this come? Sharbat Gula, the one person who would know all this. So, if we cannot believe anything Tony said due to one error, how little can we believe of McCurry? My previous reply to this is gone. Don't know why. Basically, Tony spoke to McCurry's sister, head of his studio, who (eventually) contacted him. And, no, I am not commenting on an anonymous “rebuttal” piece which is full of straw-man arguments. Of course, you will not address each of Tony Northrup's false statements and misrepresentations. There are too many and it's too much work. And they really are indefensible. I can't blame you for not wanting to waste more time defending that guy. I won't because Ⓐ It is from an anonymous coward who does not give his name, nor allow comments, Ⓑ it is in great error, Ⓒ It is full of false accusations against Tony, claiming Tony misrepresents McCurry, and Ⓓ it claims to come out after the errata, but totally ignores it all. I will not take the bait of an anonymous coward. If you want a response, post the article as your own words, (POST IT, NOT link to it, with you as the author), and I will comment away at the slanderous trash that it is. As it stands, I will not give credence to the ramblings, anonymous, cowardly troll who wrote that nonsense. P.s., I am NOT defending Tony. He can do that all by himself. I am defending logic from misrepresentations from adults who ought to have better language comprehension, and the ability to follow a discussion. If that coward wants to have a discussion, let him put his name to the document, and let him allow comments. as it stands, he is not getting my time and effort. I heard T.N. 's commentary, and sense a bit of extra angst, as a sentinal life event turned put to be... skewed from expectations including possible Nat. Geo. complicity. The habit of developing campaign film weeks-months later, and finding a career making keeper in the mix, how would any if us react? The Photographer got famous for his work, and launched a career. The refugee who would prefer culturally to remain anonymous was denied that for the remainder of her life. Yet, she did get some compensation amidst the hard times of her days in earth, made harder by the photo. It is enough to bring the story to light and hope against hope that, people can continue to learn from the on going tragedies of life & conflict, and the value of adherence to social norms with respect due to foreign cultures and morals. I say, give 'em them all a break.